Our buyers and our salespeople take pride in the quality of our lumber. We don’t buy standard #2 and better from the cheapest mills we can find. We stick to four or five of the highest quality mills in the United States and Canada. Here are some of the mills from which we purchase our 2×4, 2×6 and 2×8 wood. Most of our treated lumber is milled and treated right here in Wisconsin by Biewer Lumber. Everything Biewer mills is considered “Appearance Grade” and is identified with a “Select Cut” logo stamped on each board. For added strength and structural requirements most of our untreated 2×10 and 2×12 lumber is #1SYP or Select Structural Fir. 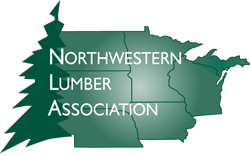 *For more information on lumber grades, species, pricing and in-stock information, please call our lumber desk at the location nearest you.